Should I Move To The Selo? I’m boring, I don’t drink anymore. But when I did and it was 10am, it was brandy. Preferably rakija. Only the best. This is quite possibly the greatest philosophical question of all time, and something that I will probably have to decide coming up very shortly. No, not whether to drink rakija. That is a triviality, because of course you drink it everyday. What I need to decide is whether or not I should move to the Selo, or somewhere close nearby, or whether it’s really worth it at all. 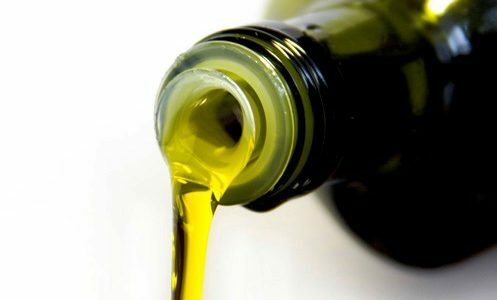 Almost every single extra virgin olive oil blog online will tell you to store your olive oil in a dark bottle, preferably somewhere cool with very little light. A pantry or basement will do. Look, I definitely don’t disagree. I still store most of my olive oil in the pantry (it helps when you’ve got a year’s supply), but the truth is that if you are in possession of a few bottles of ultra premium extra virgin olive oil, this is simply not necessary. 5 days, 35 tweets and 3 live streams ago… Man does time fly and By God is this Man prolific. Last Friday, Hunter Drew streamed about “forging your own path” and gave a phenomenal shout out to my friend Kyle Trouble. He had nothing but good things to say. So I thought I’d spend some time here today talking about how I met Kyle while living abroad in Eastern Europe, about what I was doing out there, and how the two of us got to where we are today in terms of our new venture. My name is Martin. I’m a 27 year old Croatian-Canadian currently residing on the West Coast of Canada. I’ve been here since last November. Prior to that, I had been living in Eastern Europe for two years, but I was born and raised in North America. I am a dual citizen. As I’m about to explain, my connection with the Old Country runs blood deep. Way back in December, I filled a suitcase full of extra virgin Croatian olive oil from my family farm in the Dalmatia region of Croatia. I had just quit my job and decided to visit my selo during the annual harvest in November, the month prior. I took as much olive oil as I could, about 15-20 liters (4-5 full tree’s worth if you can believe it). In exchange for the olive oil, I decided to leave about half of my wardrobe in the village. It turned out to be a worthwhile transaction.